We have highly valued and established partnerships with over 300 schools, colleges and education settings across the South West and beyond. The relationships between the Institute of Education and its partners are strong and seen as key strengths by Ofsted who praised their effectiveness. The University is developing a sound reputation for the highest quality provision, partnership working and delivery. Academic and professional services staff are driven by a real commitment to learning, outstanding achievement and providing opportunities for all and sees its partnership work as crucial in achieving its ambitious vision. "This is a very strong and stable initial teacher training partnership, characterised by a high level of trust and transparency. The willingness of local schools to release knowledgeable and talented teachers to contribute to the university training programmes is a tangible example of the highly collaborative approach." — Secondary OfSTED report, 2008. Plymouth Institute of Education's key objective is to build and sustain effective partnerships that enhance and extend mutual professional learning and practice. Partnership is at the heart of the Institutes work. 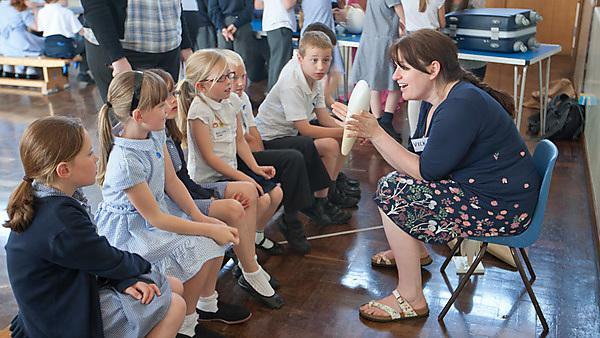 Undergraduate and postgraduate programmes for Initial Teacher Education (ITE) have well developed partnership arrangements with schools and colleges in the South West region and beyond. Partner institutions are fully involved in recruitment, programme design, course delivery and assessment of students (on campus and on placement). Other graduate and postgraduate programmes have work-based learning at their core, through which students are able to become increasingly reflective, learning through and from work-based placements and adding to their knowledge and skills throughout their careers. The Institute proposes to reconfigure its present partnership arrangements with schools to explicitly recognise the increasing importance of CPD work to the faculty, rationalise ITE partnership arrangements and reinforce the notion of partnership as an academic community of practice with considerable development potential. The institute will explore particular opportunities for reciprocal projects, enterprise ventures and share staffing to support partnership and ways of working with partner institutions. Plymouth Institute of Education is always open to new ideas and welcomes proposals from those who are keen to break new ground in education and training and work as part of a very successful University partnership.